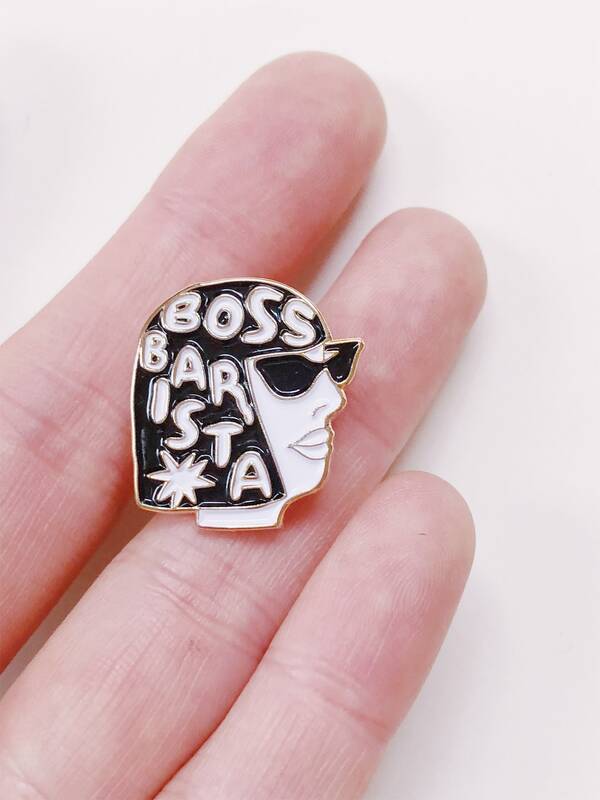 Just say no 2 coffee bros w/ this enamel pin, produced by Boss Barista Podcast. "Ashley Rodriguez started making coffee on a whim after quitting her job teaching middle school math and science in 2010. She started writing for Barista Magazine in 2013, and is their online editor. She started Boss Barista after a particularly unpleasant encounter with the host of another notable coffee podcast when she called them out for sexist comments. 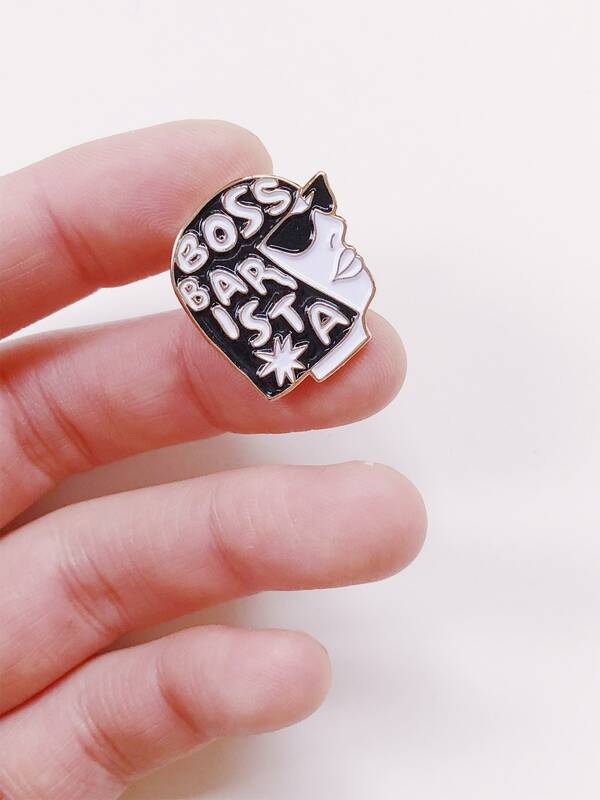 Boss Barista is her radical feminist response to the fuckery of the patriarchal coffee industry." 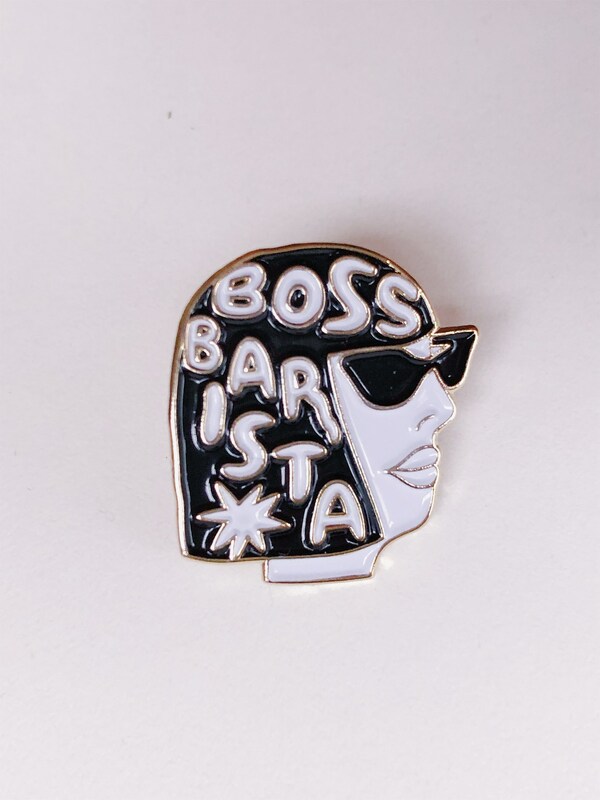 Ashley and I (Umeko) are collaborating on an experimental model for this pin - any profit from sliding scale sales above $8 goes directly back to Boss Barista. This beautiful pin is priced on a sliding scale. Just choose the price that is comfortable for you. My goal is to make each item as accessible as possible, to folks from all different parts of the coffee industry. Those who are able to pay more make it possible for others to pay less.